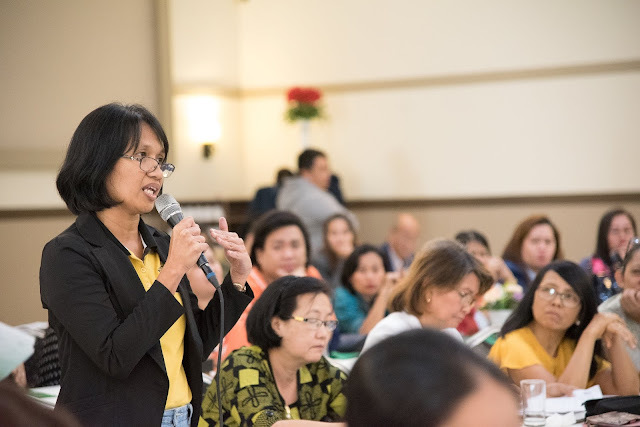 Aimed to thresh out issues on current corporate policies, PhilHealth XII conducted its first ReachOut Forum with at least 117 accredited health care providers in the Region on March 27, 2019 at Cinco Ninas, City of Koronadal, South Cotabato. 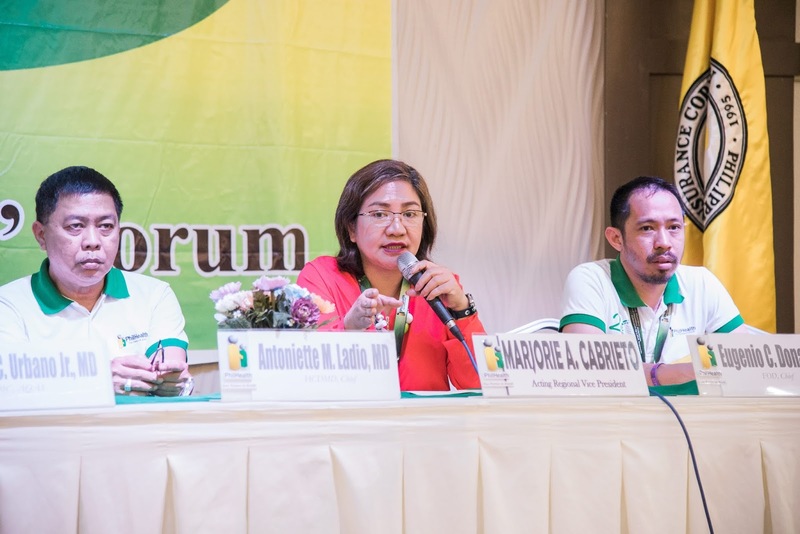 Acting Regional Vice President, Marjorie A. Cabrieto said in her opening statement that PhilHealth XII is open to suggestions, comments and recommendations from its partner providers that would contribute favourable outcome to members, the corporation itself and partner health care institutions themselves. As PhilHealth introduced innovative technological strategies in claims processing, it has included electronic procedures such as Claim Form 4 that speed up the turn-around time of the entire process. Several doctors on the other hand find the filling out and submission of said claim form, strenuous and exhausting. Health Care Delivery Management Division Chief, Dr. Antoniette M. Ladio replied that it is actually a summary of the clinical chart that is mandatorily required to complete the documents for claims processing. “No claim form 4, no attachment, no payment,” he stressed. Others have considered it with financial implication since adopting the new system requires additional manpower capable of handling electronic transactions. ARVP Cabrieto replied that technology is expensive but it provides immediate access in terms of data retrieval. “With manual transactions, the processing takes time. Much more if any adjustments of payment requires old data stored in the bodega. Electronic transmission has reduced the number of days in doing the whole process. We used to process your claim for more than 60 days. As of February 2019, our turn-around time is only 15 days,” she said. Claim Form 4 is user friendly since data can easily be encoded in the system and claim form generator is provided for hospitals without certified provider. “Can we transmit our documents without submitting Claim Form 4?” one of the participants asked. Hospital owners and managers are just required to request the Region’s Information Technology Management System (ITMS) Office to upload the CF4 generator if said electronic claims processing is not yet readily available. Other pressing issue taken up is about electronic logbook hope to address hospital’s problem on the single period of confinement (SPC). “Others are not honest about their status. Some deny the number of days that they have already utilized previously just to avail the same benefits within 90days especially those who have their recurring cases,” one provider representative said. L-R: Health Care Delivery Management Division Chief, Antoniette M. Ladio, MD; Acting Regional Vice President, Marjorie A. Cabrieto and Field Operations Division Chief, Engr. Eugenio C. Donatos, II during the REachOUt Forum held March 27, 2019 at Cinco Ninas, City of Koronadal, South Cotabato. Electronic logbook according to the HCDMD Chief will hopefully detect the 90days gap period required prior to availment of the same case which seemed to be a recurring problem on the issue of single period of confinement.